* Check out this 2019 Mercedes-Benz A-Class A 220 4MATIC * * 2019 ** Mercedes-Benz * * A-Class * This Polar White 2019 Mercedes-Benz A-Class A 220 4MATIC might be just the sedan awd for you. Rocking a sharp off white exterior and a black interior, this car is a sight to see from the inside out. View this beauty and our entire inventory today! Call for more details. You take care of your family, your work, your life we'll take care of your car. Experience the Ray Catena difference for yourself. Call or visit us today! * Check out this 2019 Mercedes-Benz A-Class A 220 4MATIC * * 2019 ** Mercedes-Benz * * A-Class * This MOJAVE SILV MET 2019 Mercedes-Benz A-Class A 220 4MATIC might be just the sedan awd for you. The exterior is a classic mojave silv met. Don't sit on this decision for long...schedule your test drive today! You take care of your family, your work, your life we'll take care of your car. Experience the Ray Catena difference for yourself. Call or visit us today! * Check out this 2019 Mercedes-Benz GLA GLA 250 * * 2019 ** Mercedes-Benz * * GLA * This Polar White 2019 Mercedes-Benz GLA GLA 250 might be just the SUV for you. Drivers love the suave off white exterior with a black interior. This is the vehicle you have been waiting for! Call now to schedule a test drive! You take care of your family, your work, your life we'll take care of your car. Experience the Ray Catena difference for yourself. Call or visit us today! * Check out this 2019 Mercedes-Benz GLA GLA 250 4MATIC * * 2019 ** Mercedes-Benz * * GLA * This Night Black 2019 Mercedes-Benz GLA GLA 250 4MATIC might be just the SUV AWD for you. Complete with a dazzling black exterior and a black interior, this vehicle is in high demand. Call and schedule your test drive today! You take care of your family, your work, your life we'll take care of your car. 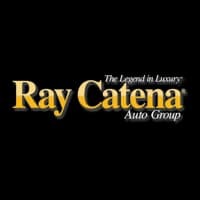 Experience the Ray Catena difference for yourself. Call or visit us today! * Check out this 2019 Mercedes-Benz A-Class A 220 4MATIC * * 2019 ** Mercedes-Benz * * A-Class * This MOJAVE SILV MET 2019 Mercedes-Benz A-Class A 220 4MATIC might be just the sedan awd for you. The exterior is a charming mojave silv met. Interested? Call today to take this vehicle for a spin! You take care of your family, your work, your life we'll take care of your car. Experience the Ray Catena difference for yourself. Call or visit us today! * Check out this 2019 Mercedes-Benz CLA CLA 250 4MATIC * * 2019 ** Mercedes-Benz * * CLA * This Polar White 2019 Mercedes-Benz CLA CLA 250 4MATIC might be just the coupe awd for you. With a ravishing off white exterior and a black interior, this vehicle is a top pick. Call today to schedule your test drive! You take care of your family, your work, your life we'll take care of your car. Experience the Ray Catena difference for yourself. Call or visit us today! * Check out this 2019 Mercedes-Benz CLA CLA 250 4MATIC * * 2019 ** Mercedes-Benz * * CLA * This Jupiter Red 2019 Mercedes-Benz CLA CLA 250 4MATIC might be just the coupe awd for you. Exhibiting a charming red exterior and a black interior, this vehicle won't be on the market for long. Call or visit to talk with one of our vehicle specialists today! You take care of your family, your work, your life we'll take care of your car. Experience the Ray Catena difference for yourself. Call or visit us today! * Check out this 2019 Mercedes-Benz CLA CLA 250 4MATIC * * 2019 ** Mercedes-Benz * * CLA * This Jupiter Red 2019 Mercedes-Benz CLA CLA 250 4MATIC might be just the coupe awd for you. Rocking a stunning red exterior and a black interior, this car is a great pick. Interested? Call today and schedule a test drive! You take care of your family, your work, your life we'll take care of your car. Experience the Ray Catena difference for yourself. Call or visit us today!